When we decided to buy this property, I didn’t think about the grass. The last few visits we have not really done anything to the house and have had to concentrate on weed wacking. Even though it was not as tall as we had expected, the grass was a good two foot tall in areas. Come to find out that’s because our neighbor Cindy decided to mow around the house for us so it wouldn’t be quite so overwhelming. Our good friends Linda and Lyn loaned us a walk behind heavy duty weed wacker and we also used the hand one. Many hours later the area around the house is somewhat cleared. 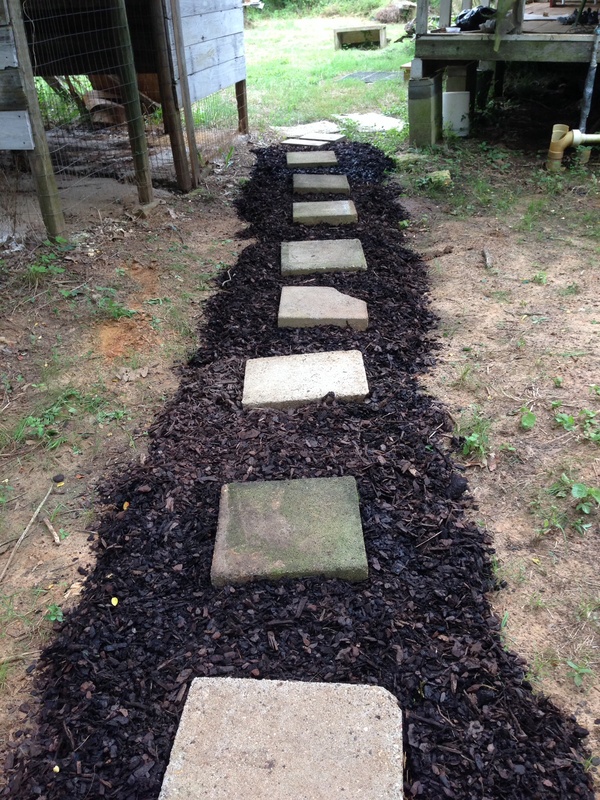 We even rooted around and found some cement blocks and started on a path to the house, just decorative for now, but when the rain comes it will come in very handy. In an attempt to keep up with the grass explosion I went to Trenoweth on my day off with great plans to spend the day in weed whacking zone. Now I know that sometimes they can be VERY finicky. I think I spent the majority of the day either pulling and pulling that damn cord, or simply swearing at the weed whacker. Not logical I know, but it made me feel better. 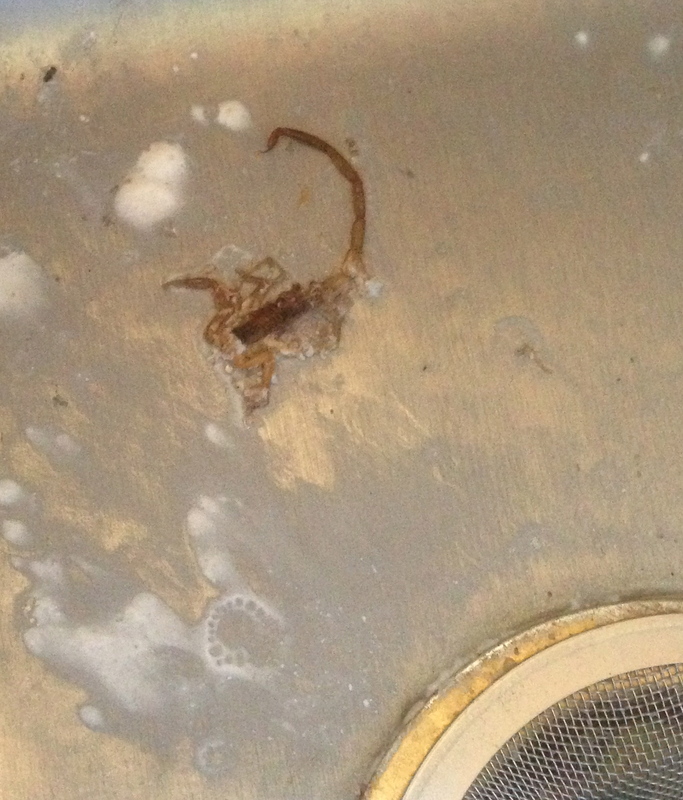 DeAun found a scorpion in the kitchen sink Ahhhhh!! 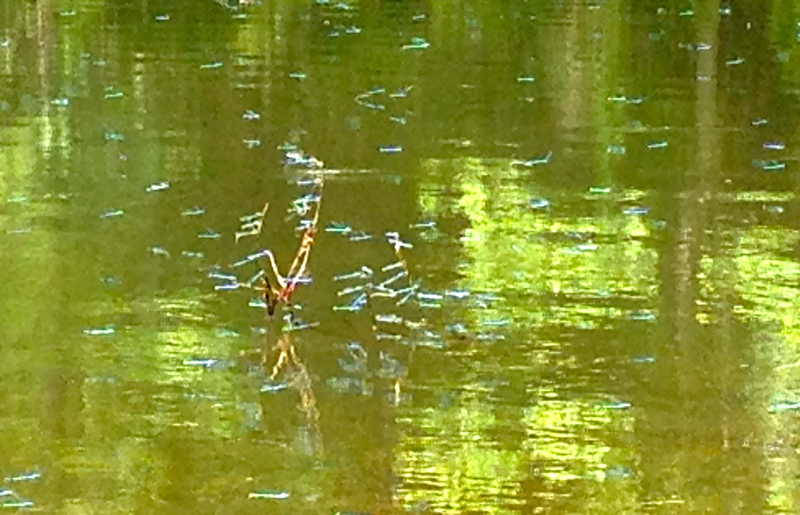 But the pond was wonderful, it must be dragonfly mating season because there were thousands of them. Nothing but water, dragonflies and the sounds of nature.